Five years in the making, this book offers a blueprint for rescuing culture from obsolescence and oblivion. Drawing on the authors’ decades of experience at the Guggenheim and Berkeley Art Museum/Pacific Film Archive, Re-Collection surveys a host of dangers facing digital culture, including Death by Technology, Death by Institution, and Death by Law. The authors conclude that the collections of libraries, museums, and archives have little long-term chance of surviving the digital revolution without overhauling traditional collecting policies and habits. One of these lessons is represented on the book’s very jacket. The cover image represents two views of the Erl King, a work by Grahame Weinbren and Roberta Friedman that was one of the first interactive video installations. On the left is the original version from 1985; its doppelgänger on the right is a version re-created in 2004 using the strategy of emulation, a technique whereby a newer computer impersonates an older one to run code written for an obsolete computing platform. 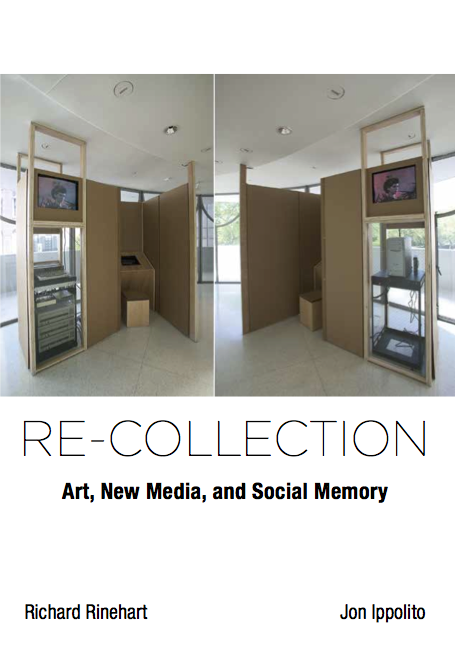 Re-Collection includes a chapter devoted to the technique of emulation and an evaluation of its real-world successes and failures in the contexts of both amateur and professional preservation. Many of the chapters survey other groundbreaking strategies, including crowdsourced preservation and DNA storage. The book concludes with a list of practical recommendations for anyone involved in cultural heritage, whether building collection software or writing copyright policies. It has already been selected as the primary digital preservation textbook for the University of Maine’s online courses in Digital Curation.